I have noticed that I love using objects to form a word. 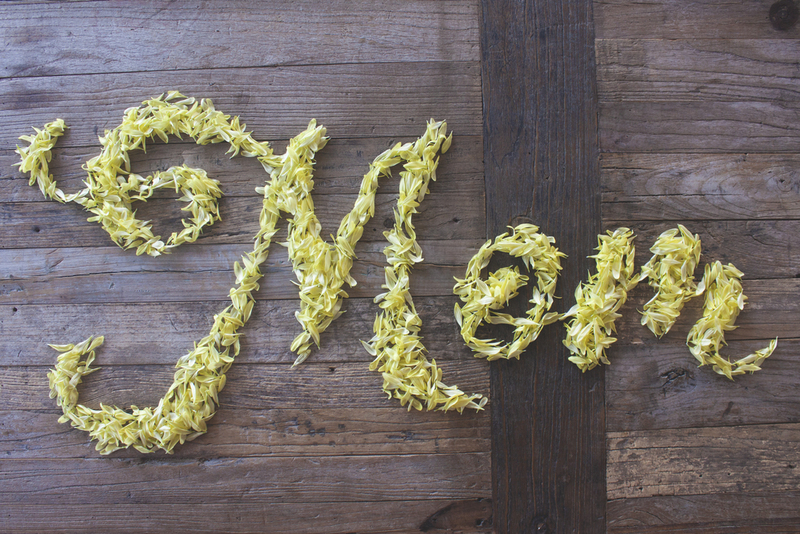 Here I used yellow flower petals to spell out the word "Mom" for the Resource Facebook TGIF post on Mother's Day. The final image had old photos of my coworkers and I with our mothers. See it here.